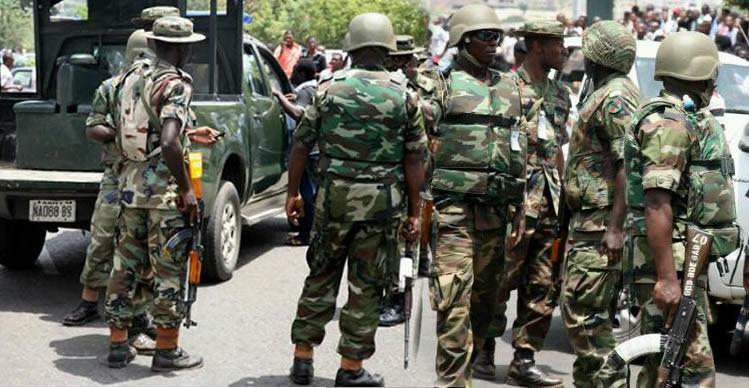 Troops of the Multi-National Joint Task Force comprising Nigerian, Chadian, Cameroonian and Nigerien troops have invaded a base of the Boko Haram terrorists in Andakar in the Lake Chad area of Borno State, killing a commander of the sect and 15 fighters during a gun battle. The military, which confirmed the incident on Sunday, identified the Boko Haram commander as Malloum Moussa, saying the clearance operation to Andakar was part of the ongoing Operation Yancin Tafki. BrandInfo learnt that the troops embarked on clearance operations in Kerenoa and adjourning areas before making contact with the terrorists at a camp in Andakar. Antigha said, “In the continuing escalation of offensive operations aimed at making islands and other settlements in Lake Chad untenable for the Boko Haram terrorists, troops of the Multinational Joint Task Force over the weekend embarked on a clearance operation in Kerenoa and adjourning areas. “Contact was made with the Boko Haram terrorists at the Andakar camp. In the ensuing fire fight, Malloum Moussa; a Boko Haram commander, along with 15 of his fighters were neutralised. Five gun trucks were also destroyed. A woman, whose relationship with the terrorists has yet to be determined, was apprehended. Meanwhile, the Nigerian military has vowed to continue to conduct attacks on insurgents and other criminal elements until they are pushed out of the land, the Acting General Officer Commanding (GOC), 7 Division and Commander Sector 1, Operation Lafiya Dole, Brig. Gen. Bulama Biu, said. He also said significant success had been recorded over the Boko Haram, noting that this had paved way for the return of displaced persons in the North-East to their homeland. Speaking at a social gathering organised to mark the 2018 Nigerian Army Social Activities, at Maimalari Cantonment, Maiduguri, Biu said that the successful celebration at the Borno State capital, Maiduguri, was an indication of triumph of the military over the insurgents and restoration of peace to the area. He claimed that the military had successfully restored normalcy and peace in Maiduguri and other parts of the region, compared to the chaotic situation bedevilling the area in the past.